Over the past couple weeks I've been playing around with new products, new ways of putting ingredients together. Thought I'd share a few of my putterings for anyone interested. 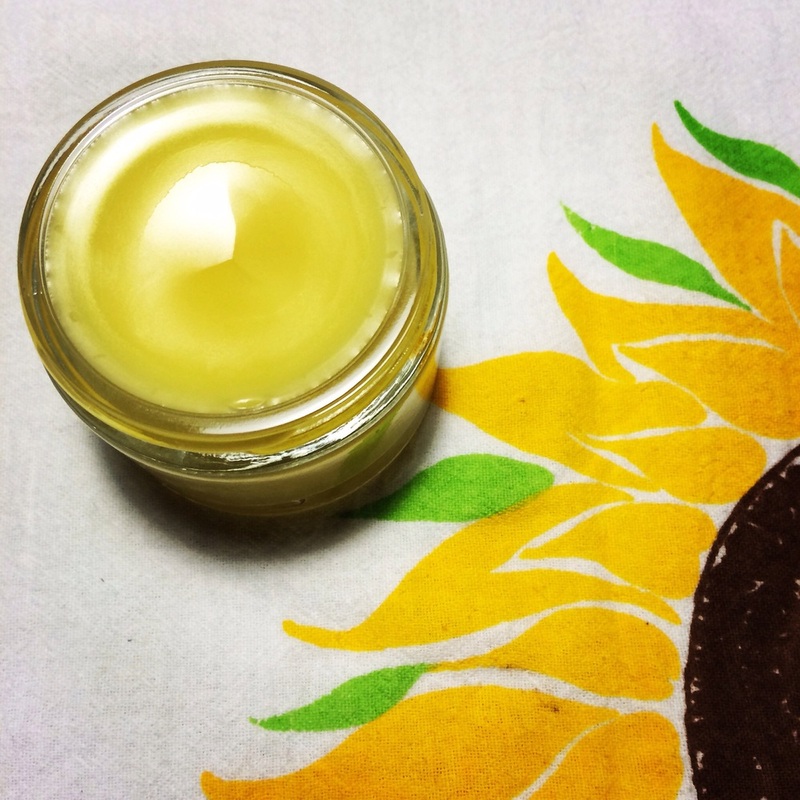 This sunny pot of goodness below is a frankincense salve, made with a high ratio of frankincense essential oil. There's more risk of skin irritation at this level but the benefits are higher if your skin can tolerate it. I'm using it for a wrist issue and keep it next to the bed for a fragrant nighttime application. It also makes a really nice massage cream. This elixir below is made from infusing brandy with dried medicinal fruits, herbs, and spices: elderberry, elderflower, schisandra and hawthorn berries, rosehips, hibiscus, cinnamon, cloves, ginger root, and orange peel. Along with a generous glug of honey, it sat for 6 weeks on a shelf, where I shook it once in a while. It's pretty intense, even at a small dose like 2 Tablespoons. I prefer mixing it with water and sometimes elderberry tincture for more palatablity and more elderberry. Next time I would be much lighter handed with the spices. The color is gorgeous but not easy to capture with my camera. A delicious way to add beneficial herbs to everyday life. Sweet smelling rose salve. Made with rose-infused olive oil and beeswax. The beeswax I use is highly fragrant so I like to call this Roses and Honey salve. The petals are just for the pretty. Roses taking an oil bath. One more rose picture, because roses. I love the color green. This gorgeous stuff is my Green Monster salve (for when your skin feels a little scary). The base is a Greek extra virgin olive oil that feels phenomenal on the skin and smells the way the color green would if it had a smell. 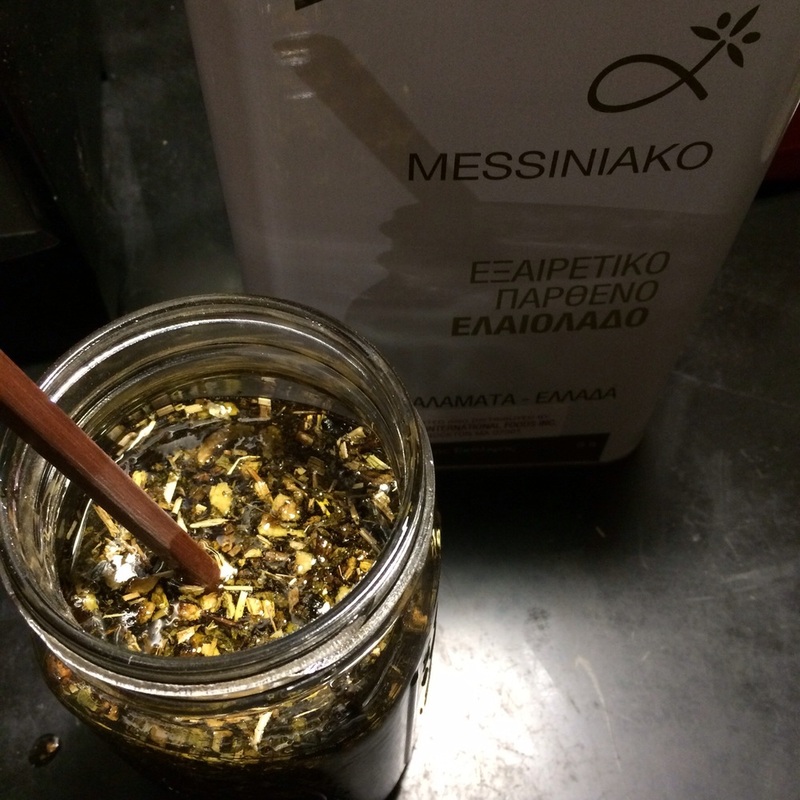 I infuse the olive oil with dried comfrey leaf and root. Comfrey is just amazing stuff. I'll write more about it another time but enough to say that its healing properties, particularly for the skin, are no joke. Mike has skin issues on his hands and he uses comfrey daily to keep his skin healthy. Having some of this around is never a bad idea. Plus, it's so green! Comfrey leaf and root in Messiniako olive oil.